The Tone Booster Bass Bridges, designed and made by Sever Innovations are expertly machined from 1.5mm thick Stainless Steel plate. The footprint of the bridge plate is larger than a standard bridge and specially designed to maximise the contact area with the bass body. This, combined with the unique properties of the stainless steel, projects the full tonal range of the vibrating strings. 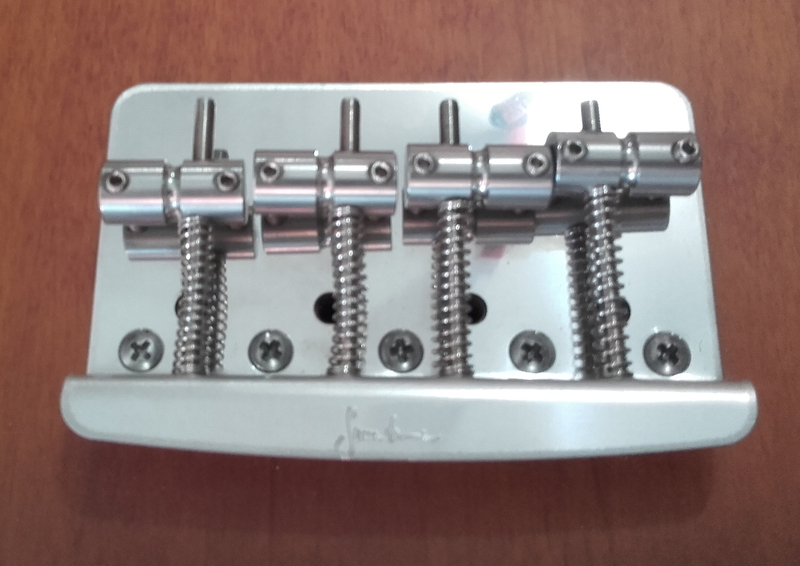 Further improvements in the Tone Booster bridge design combined with the larger saddles eliminates the damping effect experienced on traditional bridges caused by contact between the anchor end of the string and the intonation screws / springs. To achieve this the saddle intonation screws are positioned slightly to one side of the line of the string. For this reason, ToneBooster saddles should not be used to replace saddles on a standard bridge plate. Further improvements to the height set screw positions enhances the sound transfer across the bridge. The larger saddles (10mm diameter) were chosen to enable the set screws for saddle height adjustment to be completely enclosed within the saddle. This means that a player who mutes or dampens the strings with the palm can do so without catching their hand on the sharp set screws of a standard bridge. The larger saddle also gives a better string contact with the guide groove. 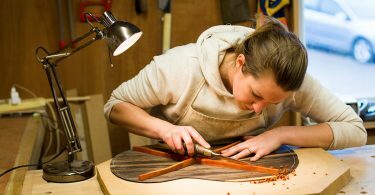 The bridges are also pre-drilled to convert a bass to a string-through body instrument. 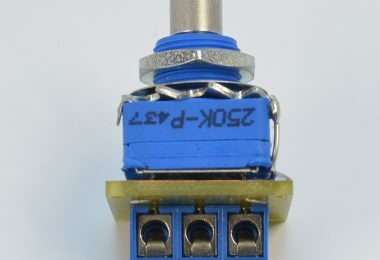 You can use the bridge plate as a jig to guide the drilling of the holes in the body for this conversion. 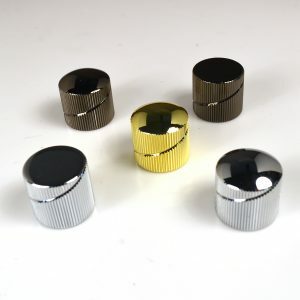 ToneBooster string through ferrules are also made from Stainless Steel to maximise the tonal transfer of ferrule. 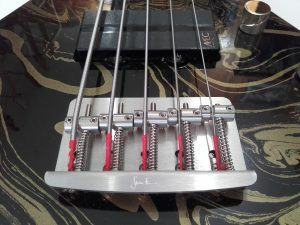 The 4 string Tone Booster bridge has a mirror pair of saddles and the 5 string version has 5 individual identical saddles. 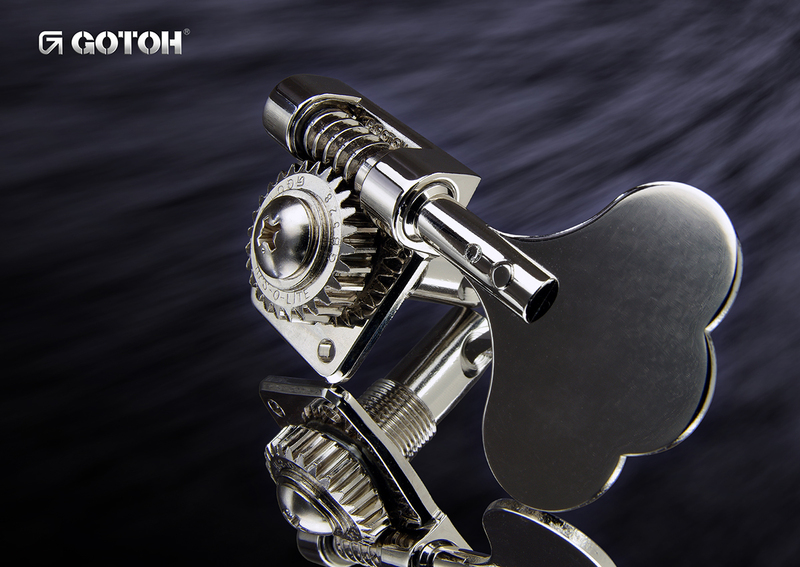 Tonebooster Bridges come in two finish types; a brushed metal finish and a hand polished finish. For Bass makers or Bass players who wish to personalise their ToneBooster bridge, a custom engraving option is also available. The range will include some standard “drop in” replacement bridges compatible with the big brand guitars. In addition, we will launch a new concept in bass bridge design. Come along to Stand D10 and be among the first to see this new bass bridge design. This range of replacement bridges will transform the performance of your bass guitar. 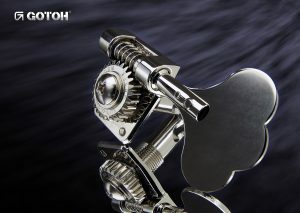 In addition to Bass Bridges we will also present the Gotoh Reso-lite range of bass machine heads. Solve the problem of neck dive by fitting these super-light weight yet robust machine heads from the Japanese manufacturer Gotoh. We’ll also have the new range of sever Guitar Knobs. These are the coolist design and are super light-weight. If you are visiting the Bass Guitar Show please use our special discount code when booking tickets. Use the booking code TONETECH and get 20% of the ticket price.